"I hate it when I think I am buying organic vegetables and when I get home I realize they are just regular donuts"
Wheat really is one of life's simple ingredients, but there is so much more you should know about this sensational super food! Grown right here in Alberta and shared around the world, wheat is an essential, versatile ingredient in all our lives. Not only is it packed with healthy, amazing things but its totally delicious. What are you waiting for? 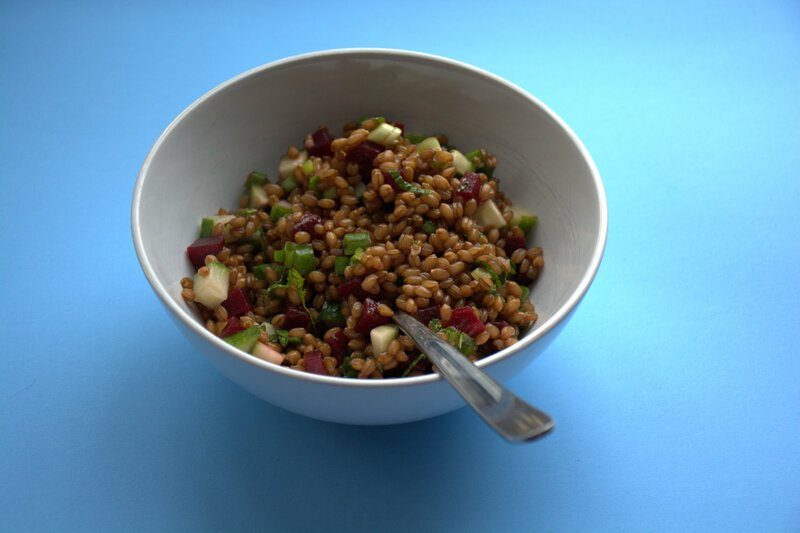 What is a wheat berry and why should I be eating them? A wheat berry, or wheatberry, is a whole wheat kernel (except for the hull/husk), composed of the bran, germ, and endosperm. Botanically, it is a type of fruit called a caryopsis. 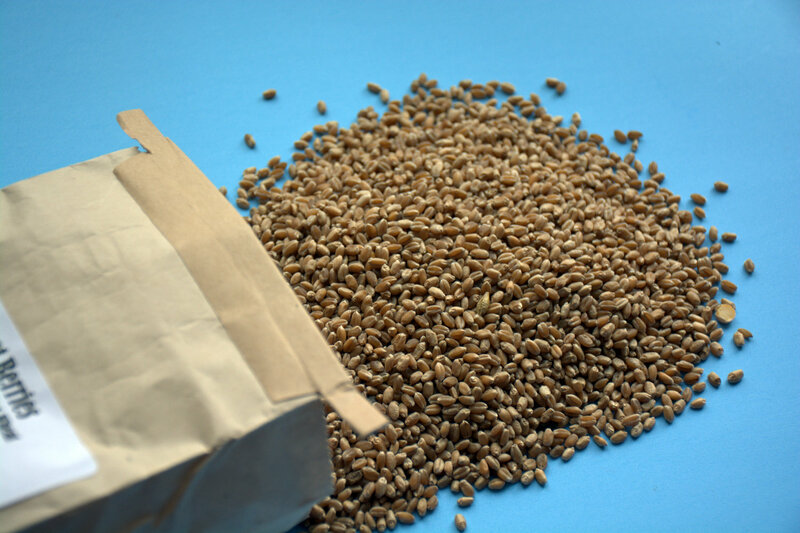 Wheat berries have a tan to reddish-brown color and are available as either a hard or soft processed grain. They are often added to salads or baked into bread to add a crunchy texture. 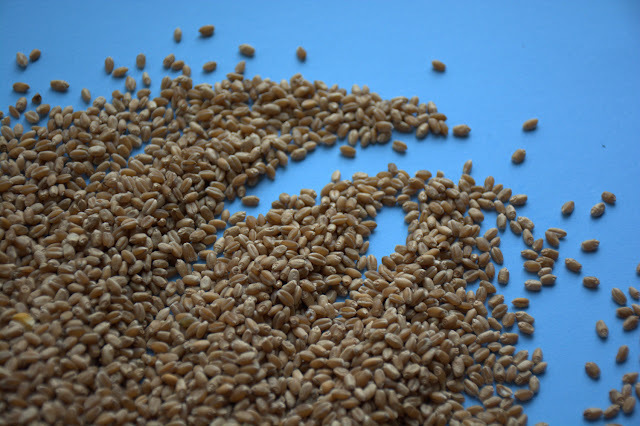 If wheat berries are milled, whole-wheat flour is produced. Protein: Whole grain wheat provides several grams of protein per serving. Protein is important to help kids build their bones and muscles! Fibre: Fibre helps you feel full and satisfied for longer. Neither you nor the kids will be craving snacks before dinner. Whole grain wheat also helps aid digestion to keep bowel movements regular. Minerals: Whole grain wheat also contains key dietary minerals, such as zinc, iron, magnesium and manganese. These minerals help build bones and keep your immune system in top shape. Vitamins: Whole grain wheat is high in B vitamins, including niacin, thiamin and riboflavin, which help boost metabolism. It also contains folate, which helps the body form red blood cells. Antioxidants: Phytic acid, lignin and sulfur compounds in whole grain wheat act as antioxidants, which may help to fight and prevent diseases. 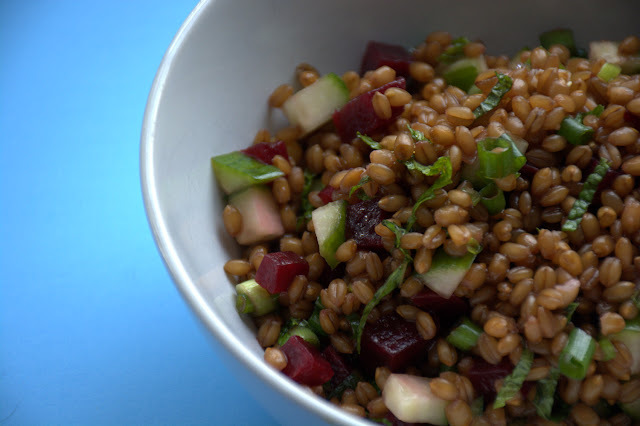 How do I cook Wheat Berries? 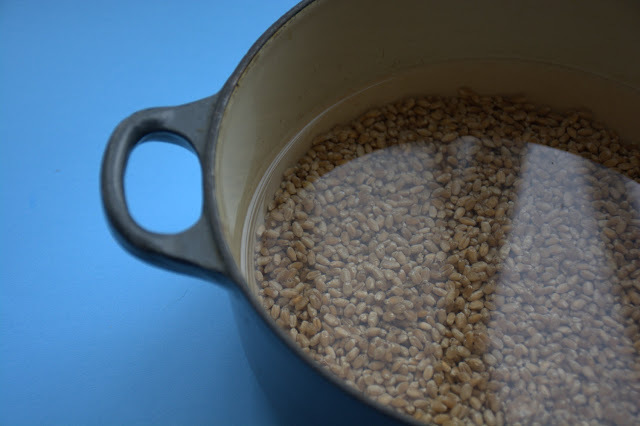 Place the wheat berries in a large pan with the water.Bring to the boil and simmer till tender but firm and a little chewy. Start checking at 30 minutes, but it may take up to an hour depending on the age and dryness of the wheat.Drain and in a large bowl toss with the olive oil and sea salt. Serve immediately or place in an airtight container to use in salads. Will keep for 1 week. Certified Organic farm near Edmonton, Alberta that is producing stone-milled flour and whole grain products from heritage and ancient grains. Their wheat is antique; Red Fife, Park, Spelt and Einkorn. They taste different, feel different and nurture your body differently. Baking with Gold Forest Grains flour products takes you back in time to the age of whole, healthful foods. Your baking will have the wonderful, indescribable taste that only your grandparents would recognize. This is a small family farm, owned and operated by John and Cindy Schneider, supplying wholesome local food to their friends and neighbours. They grow their grains and mill them, on their farm, into healthful flour products that we all can enjoy. John and Cindy are very dedicated organic farmers, and take care of their soil as much as they nurture their wheat. The result is heirloom grains bursting with aroma and traditional flavour. Toss everything together and season to taste. I sent my boys to school with this salad and my eldest said the only problem he had was there wasn't enough of it! Score 1 for Mum! This post is sponsored by the Alberta Wheat Commission. 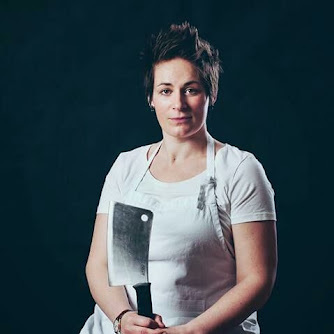 Their goal is to spread the love for fabulous Alberta Wheat and I am only too happy to oblige as it really is an amazing product that I really believe we all need a little more of in our lives. For more information about amazing Alberta Wheat click here. 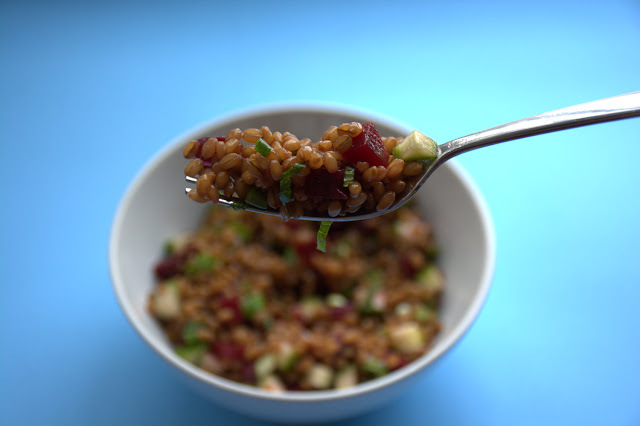 the Mint Wheat Berry Tabbouleh recipe looks yummy essay service boasts awesome culinary articles though i couldnt find this specific one thanks to your blog article for sharing this. Thank you for sharing the post! It's very helpful.